78 Youth Sports offers flag football for co-ed players ages 7 – 16. 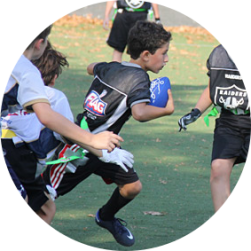 Flag Football Fundamentals (ages 7 – 8). Learning the game. 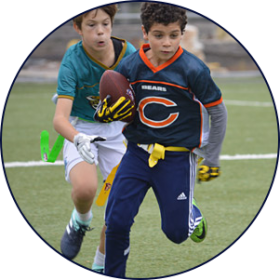 Flag Football (ages 9 – 16). Playing games. Sign-up, learn and have fun! 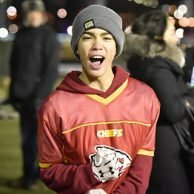 Taught by our instructors, this is a high-energy, super interactive 50-minute session teaching passing, receiving, flag-pulling and running patterns. The ‘season’ culminates in modified, age appropriate game play. Sign-up, show your stuff and get drafted! All players must go through a mandatory evaluation. It’s 15 minutes of catching, running and throwing. These evaluations help us create teams that are balanced so our games are fun for all. 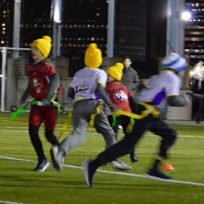 All games are on turf at three locations: Van Vorhees, Brooklyn Bridge Park (Pier 5), and Washington Park. NFL Team Jersey and flag belt (provided by coaches). Plain shorts/sweat pants. No pockets or belt loops = no ripped garments due to flag pulling. Mouth guards are mandatory to play. Turf shoes or rubber cleats are recommended. Absolutely no metal cleats.